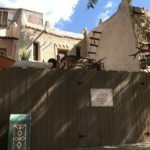 At long last, the Adventureland area that once housed Aladdin’s Oasis will be getting an update. 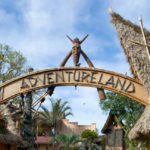 Today the Disney Parks Blog announced that the space will become the Tropical Hideaway. 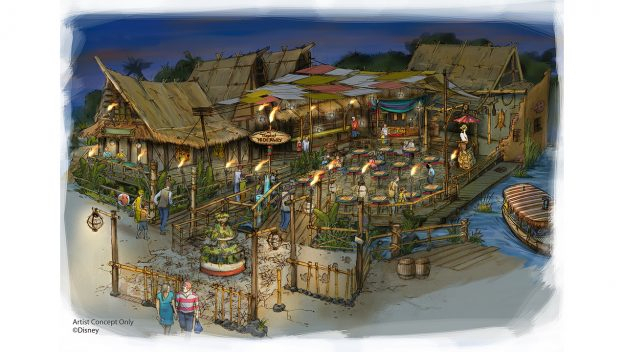 Located in between the Enchanted Tiki Room and the world-famous Jungle Cruise, the Tropical Hideaway promises to become a “one-of-a-kind destination” featuring “all of the sights, sounds, and flavors of the tropics.” The Parks Blog also released some concept art for the project that seems to suggest plenty of seating and some fun details. 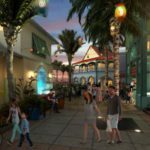 No opening date for the Tropical Hideaway was announced, but stay tuned as we get more info on this development.